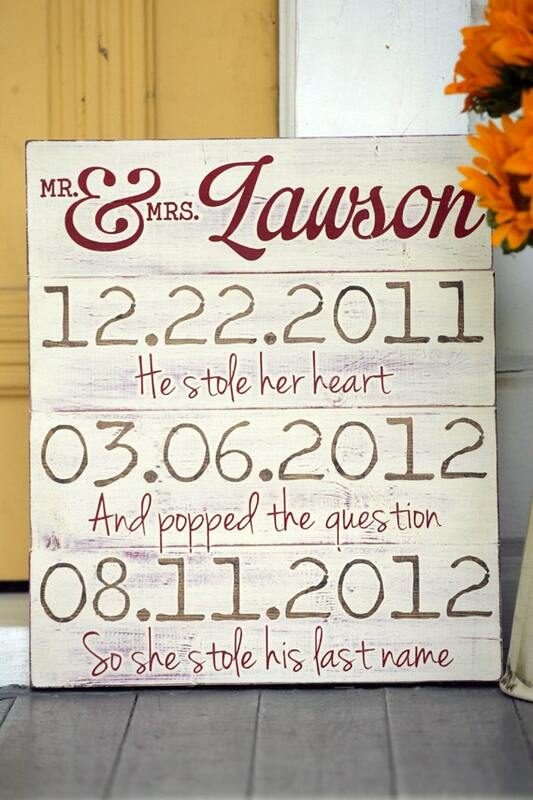 In my feverish search for fun wedding items, I came across the saying "He stole her heart, so she stole his last name" saying. Some people may find it annoying and a bit trite, but I find is cheesy and love it. So to Etsy I went. There are many many variations of this sign and in many forms, but it was Leah's shop Sweet Signs of Life that I gravitated to. 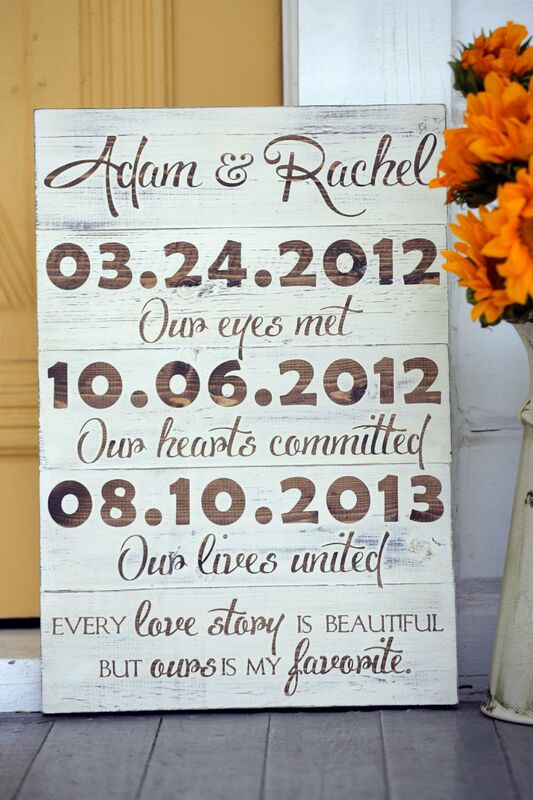 Leah's signs are hand painted, solid wood, and completely customizable. Each wood plank is hand-selected which allow for “natural imperfections.” To add even more character to these signs, they are also distressed by hand, giving it a more aged apperance. When ordering from Leah she had two versions of this sign and I liked aspects from both. I asked her if we were able to take some aspects from sign one and other aspects from sign two to create, essentially, a brand new design. She was more than willing to make the sign I wanted and worked with me to ensure we were both satisfied with the final product. And we were! I absolutely love this sign and placed it on our gift / guestbook table at our wedding. I love the distressed look of the sign and the fact that because Leah was able to work me and fully customize it made it all the more special. Leah includes a saw-tooth hook on the back that allows you to hang it on a wall rather than having it propped up. The sign is coated with wax finish that "is applied to pull out the rich vintage coloring, achieve a subtle velvety luster, and provide protection and durability." The wax that Leah uses really makes this sign pop, hold a shine, and have a finished high-end quality. Overall, this sign is absolutely beautiful and pictures do not do it justice. Now for the bad news. 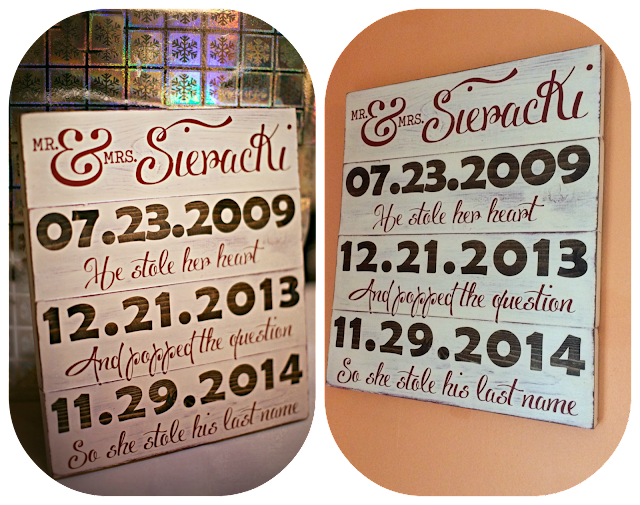 Unfortunately Leah doesn't make this sign anymore but she does have two other wedding signs that are just as lovely. Her biggest sellers are her baby birth announcement sign and the "you are my sunshine" sign. (I LOVE the baby birth announcement signs and while there are no immediate plans to have children I have every intention of buying one of these signs when the time comes.) And last November, Leah was lucky enough to have one of her signs featured in Taste of Home magazine. Leah informed me that she has "really enjoyed having this business, interacting with customers, having a creative outlet as well as working from home (a blessing as a mom!)" and that her dream job has finally become a reality. As a special promotion for Bookish Lifestyle readers, Leah is offering a 10% discount good until August 15. To receive your 10% off you will need to enter the coupon code SUMMER10 upon checkout. 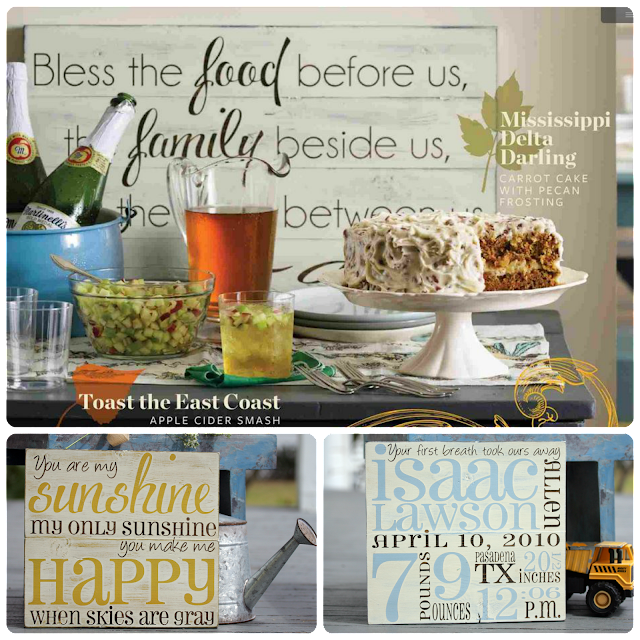 Whether a gift for yourself, a friend or family member, Leah's signs will add the perfect decoration to any room. If you do get a sign, send us here at Bookish Lifestyle a picture - we'd love to see what Leah has created for you!